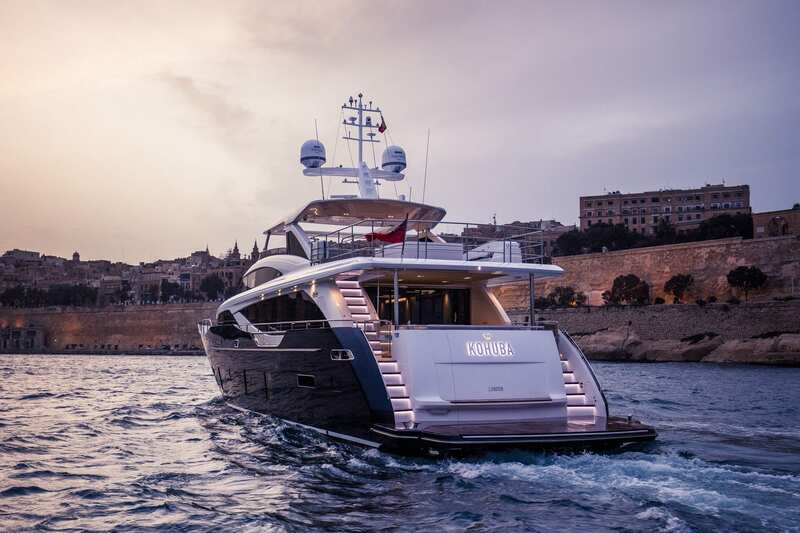 KOHUBA was built in 2016 by Princess Yachts Internationals Plc. 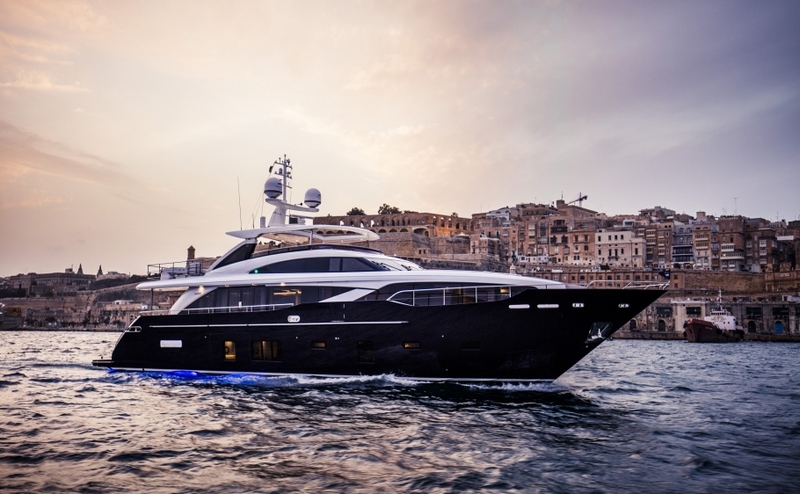 She is the first Princess Yachts 30M of the new generation M CLASS range of superyacht. 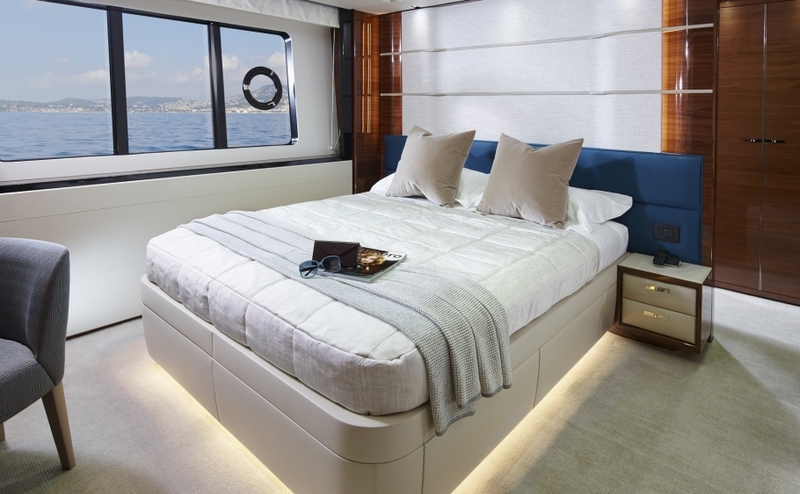 Exclusive, KOHUBA is available for luxury yacht charter with Princess Charter. 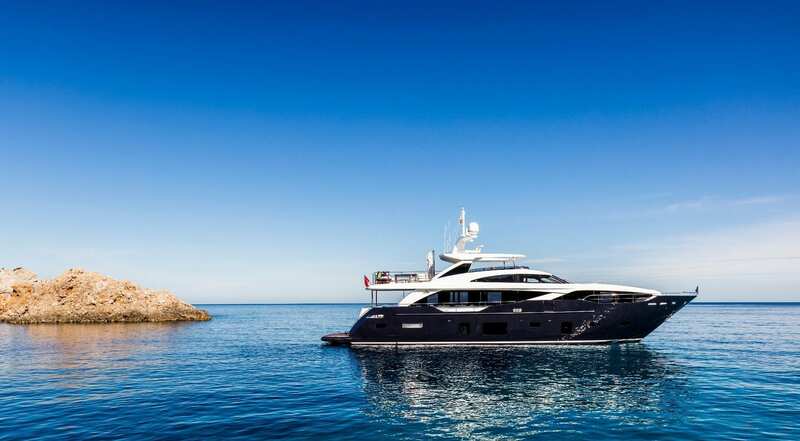 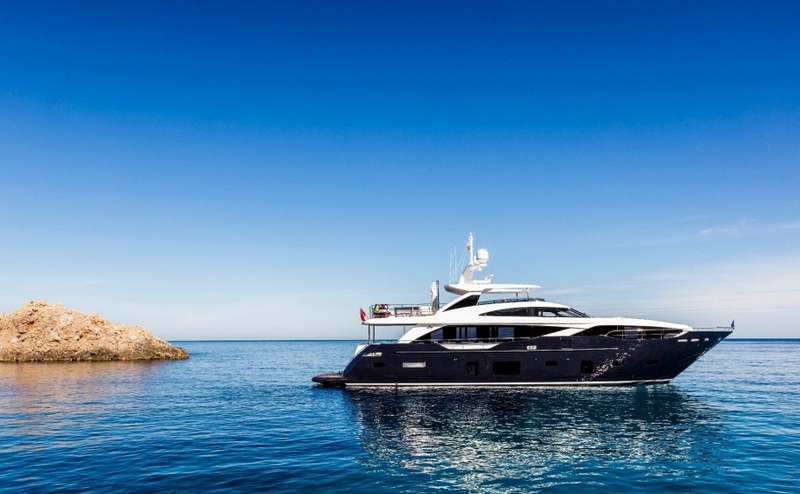 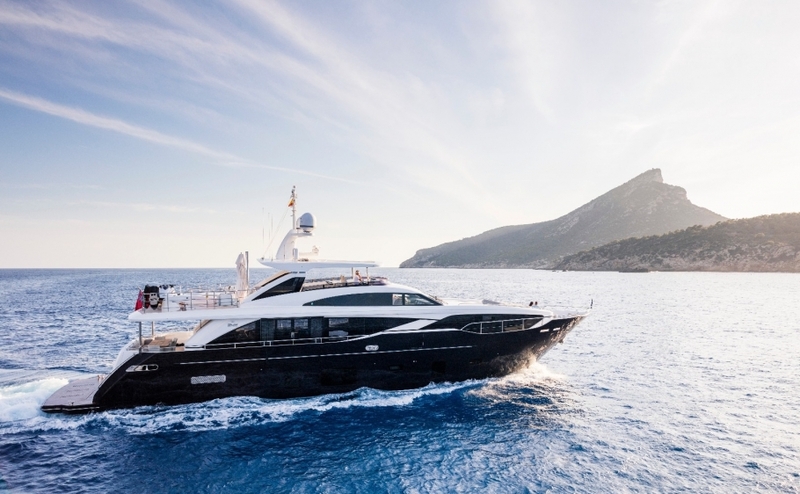 Her sophisticated and unique navy blue hull will turn everyone’s head around the French Riviera this season. 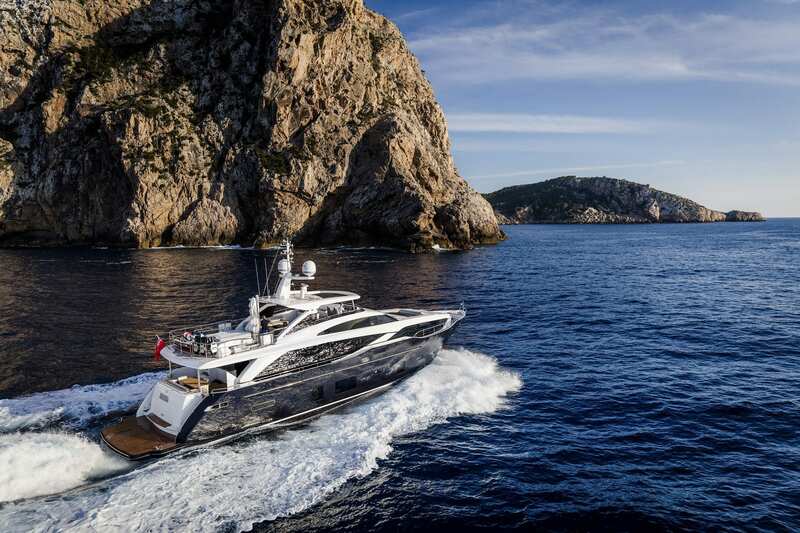 She has a class-leading interior volume and a Scandinavian like design. 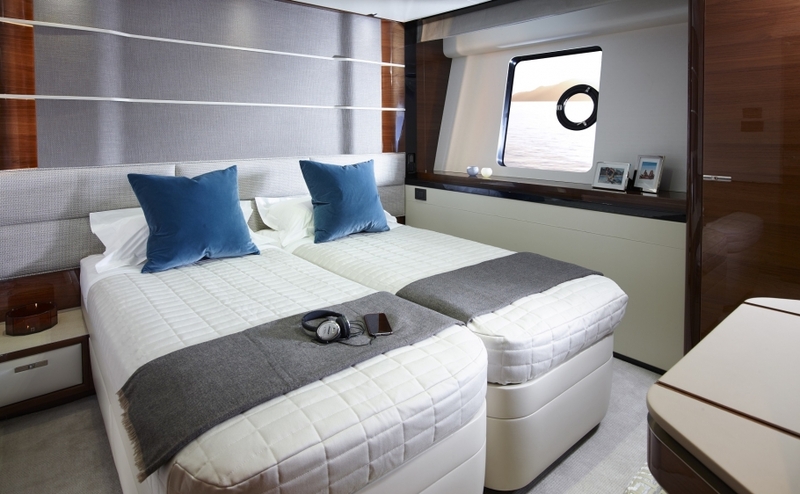 KOHUBA is able to accommodate up to 10 guests with her 5 outstanding cabins. 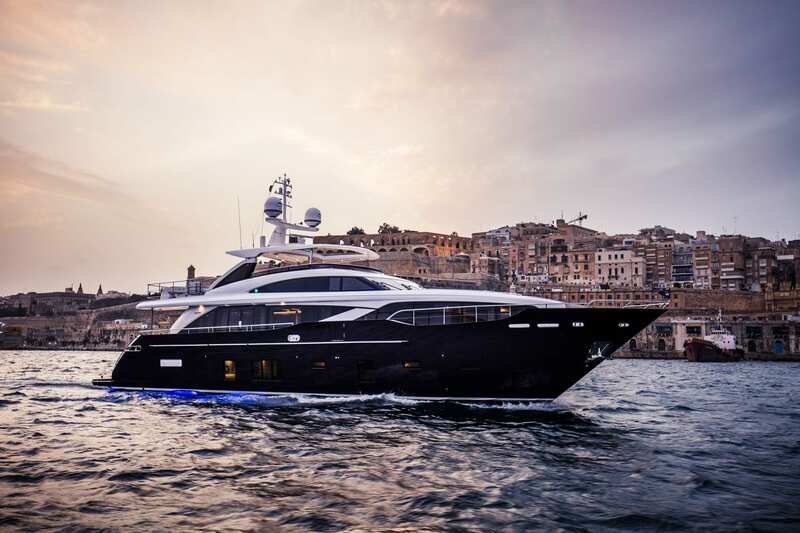 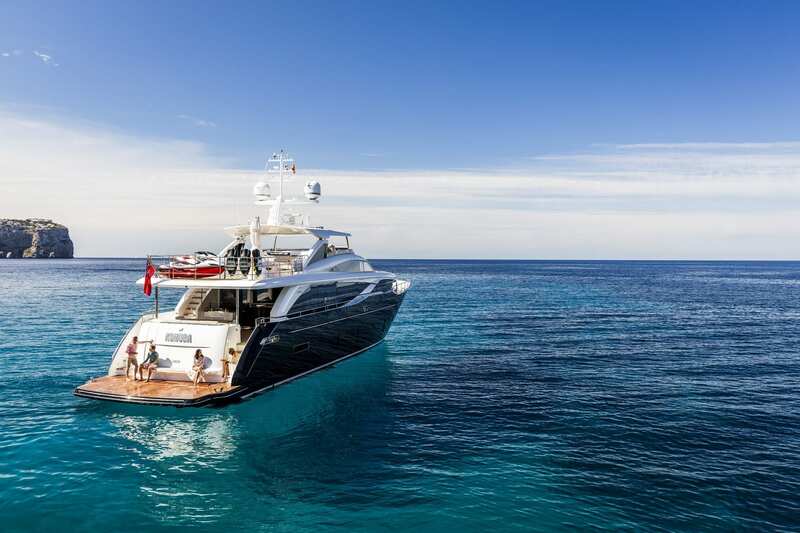 With 2 convertible cabins, she is the ideal superyacht to charter either with friends or family. 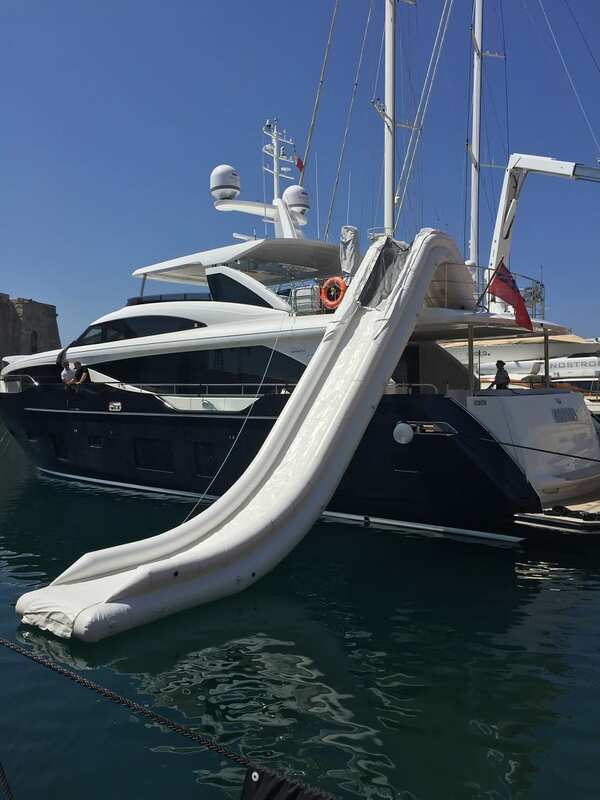 5 crew on-board providing a five-star service, ensuring a relaxed luxury yacht experience. 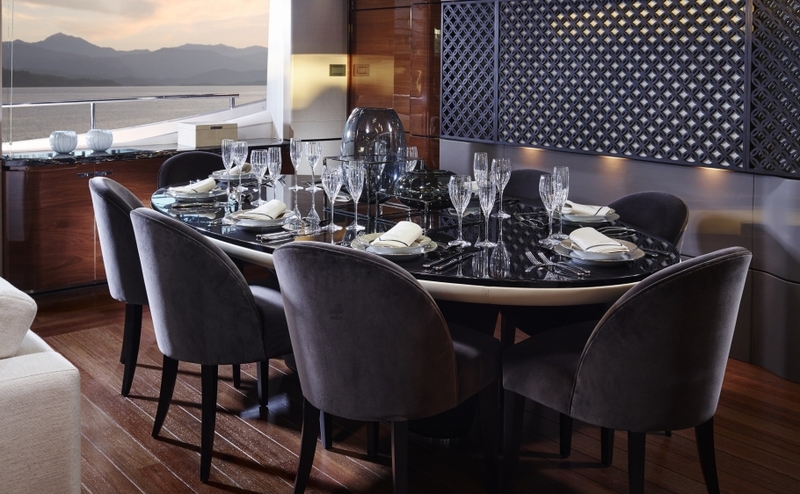 Princess Design Studio stylishly designed the interior upon the owner’s vision of a smoking room. 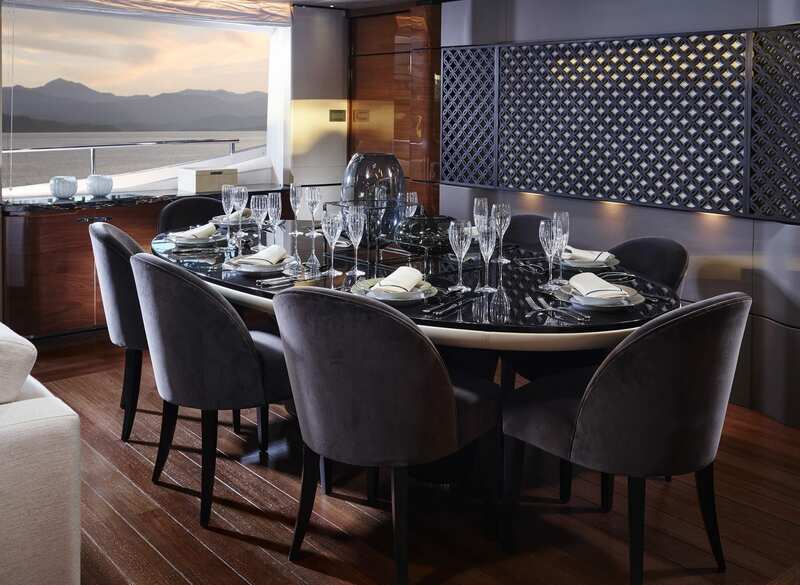 Even, subtle and light-toned furnishings and materials balance this masculine interior to provide serenity and originality. 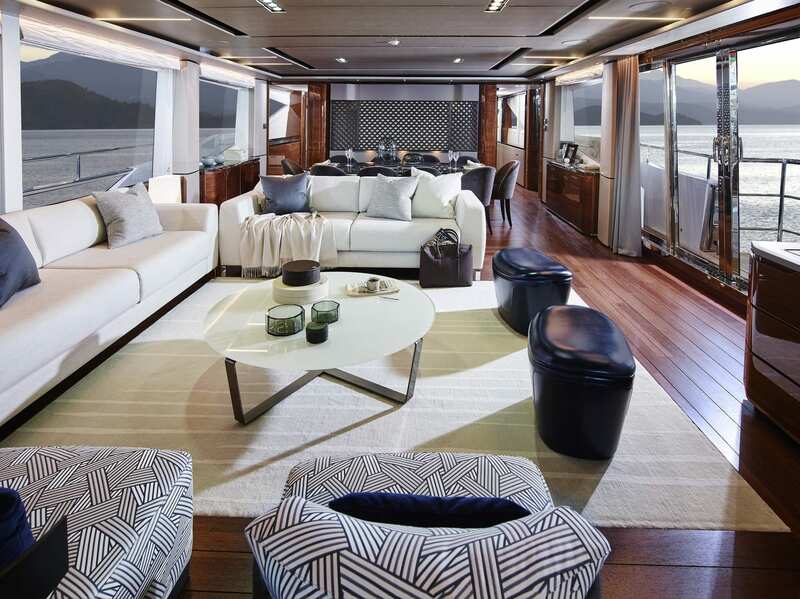 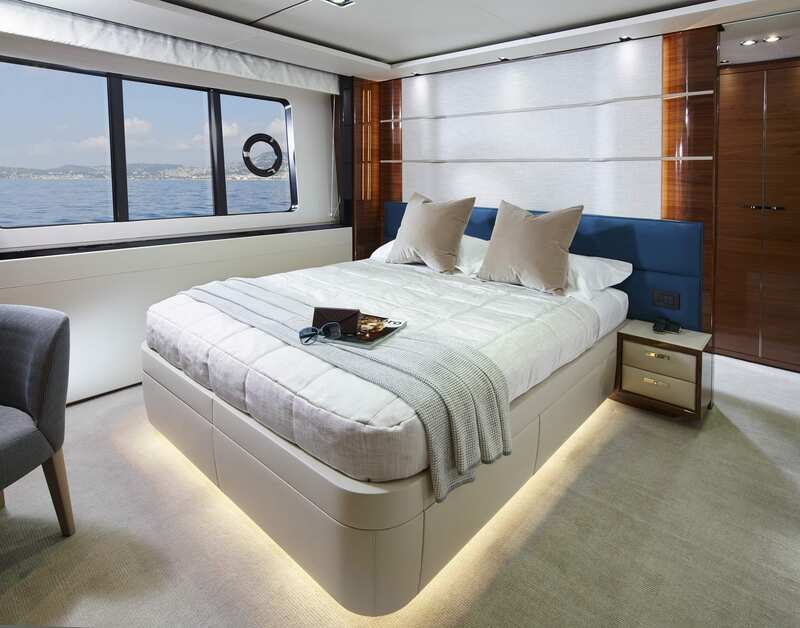 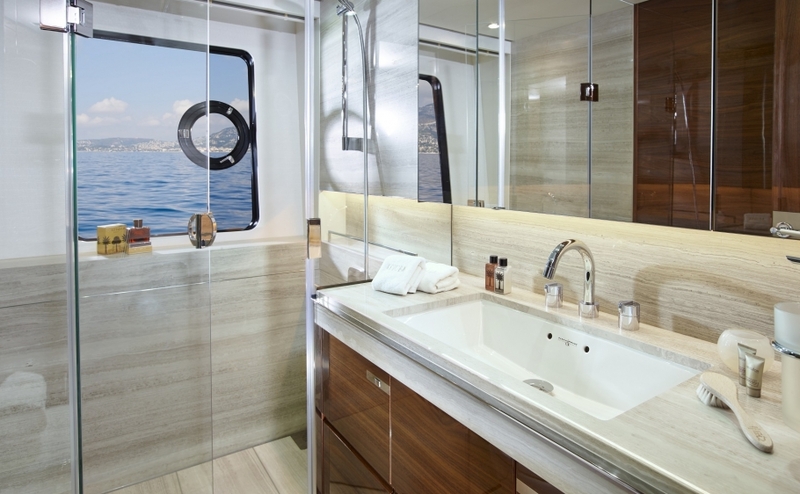 KOHUBA interior and exterior features make her the ultimate luxury yacht charter experience. 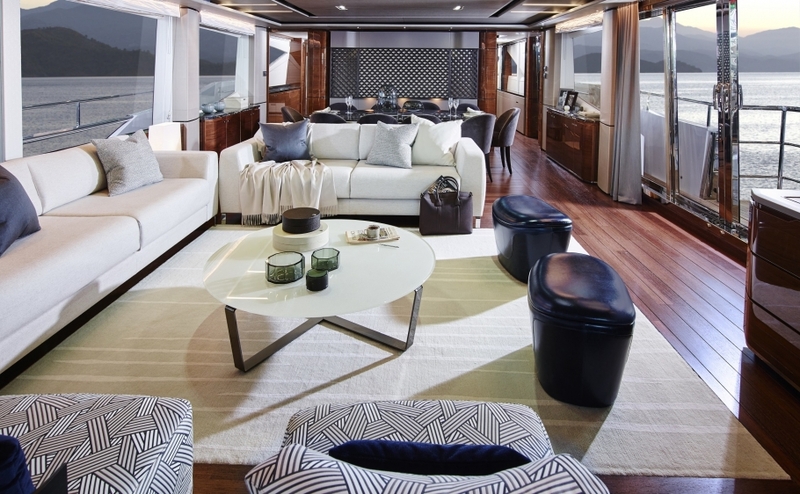 Cockpit and interior areas are exceptionally appointed for formal or social occasions. 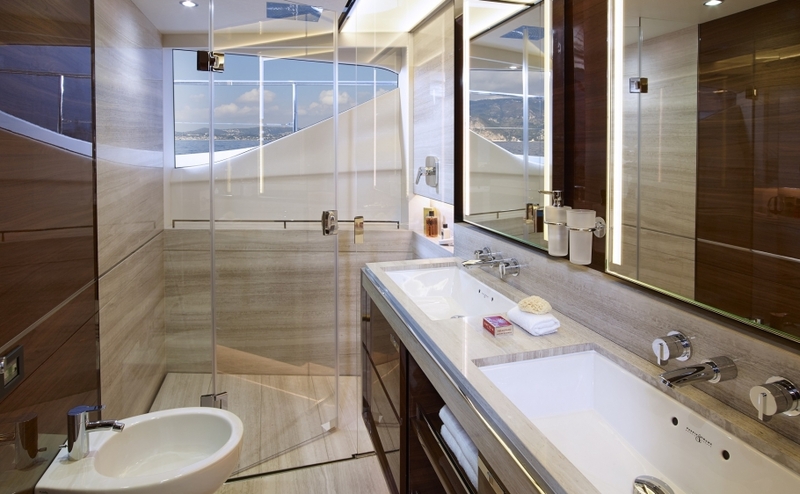 From the saloon, at the touch of a button, a balcony unfolds over the sea, providing the perfect spot to enjoy a sunset. 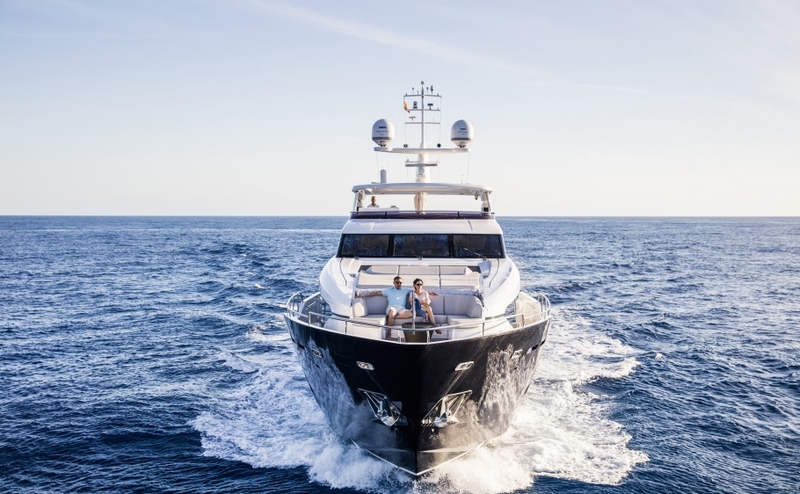 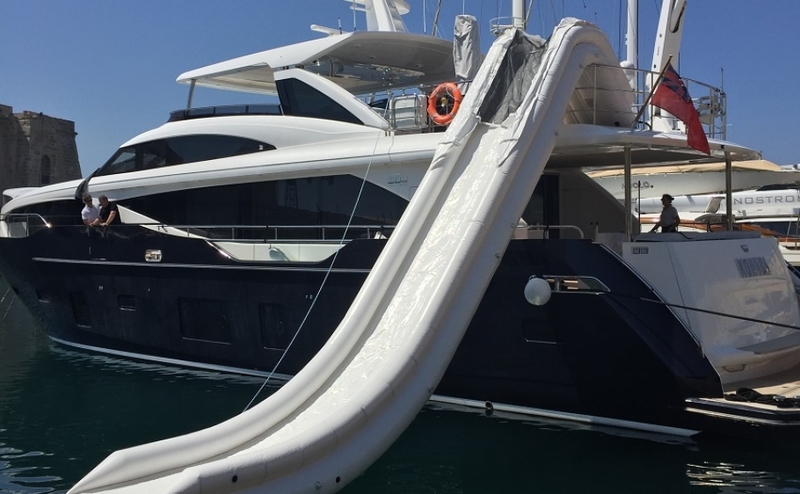 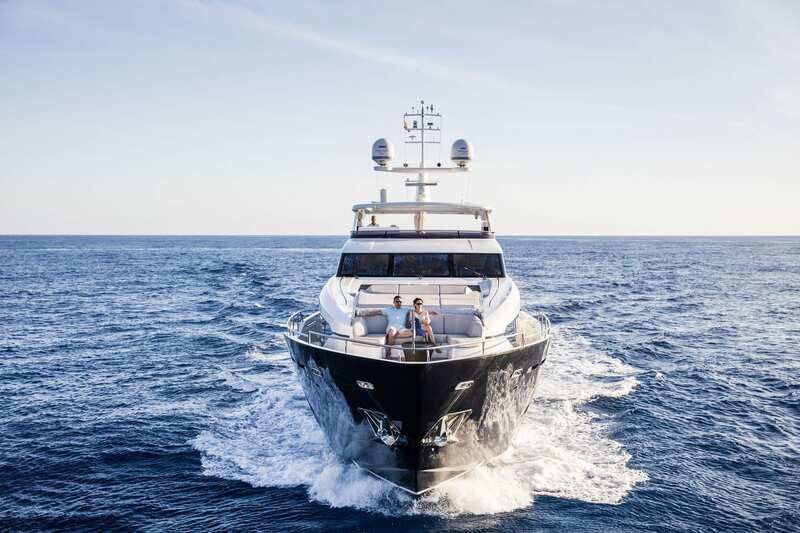 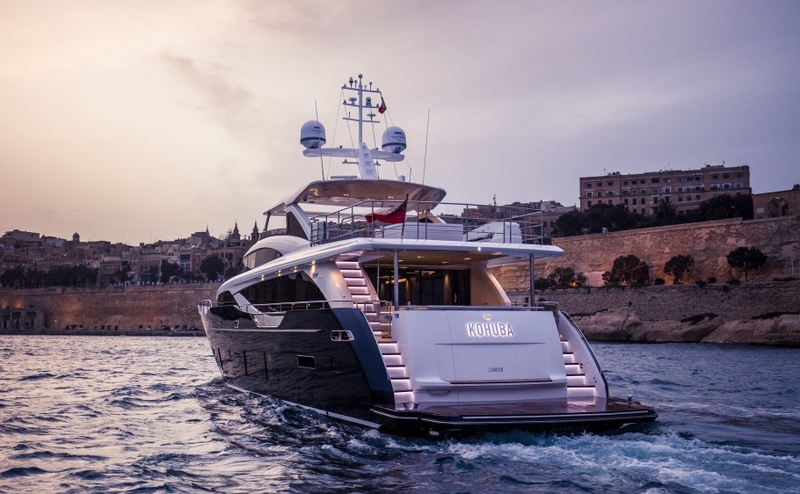 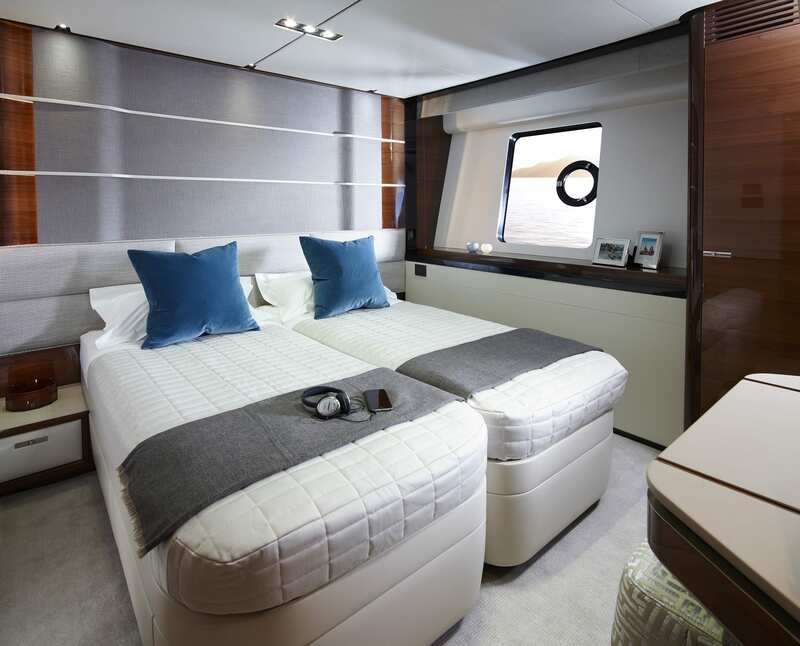 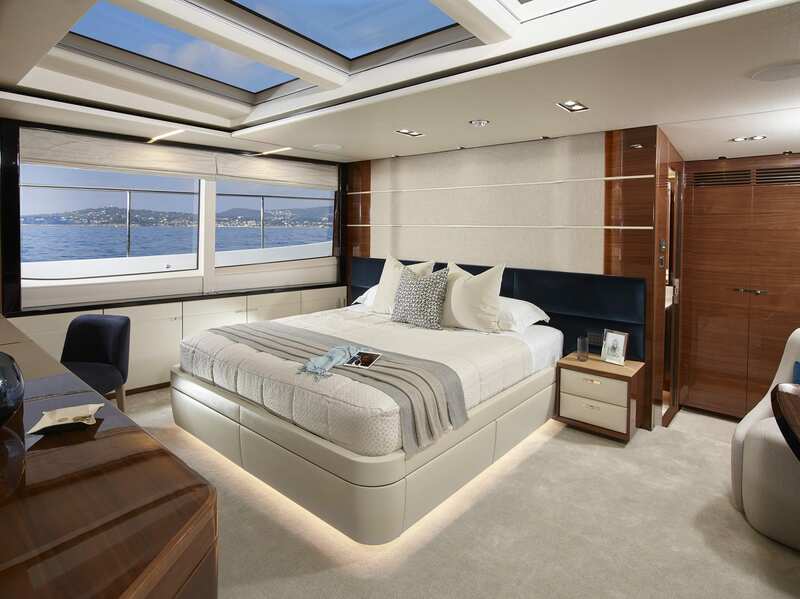 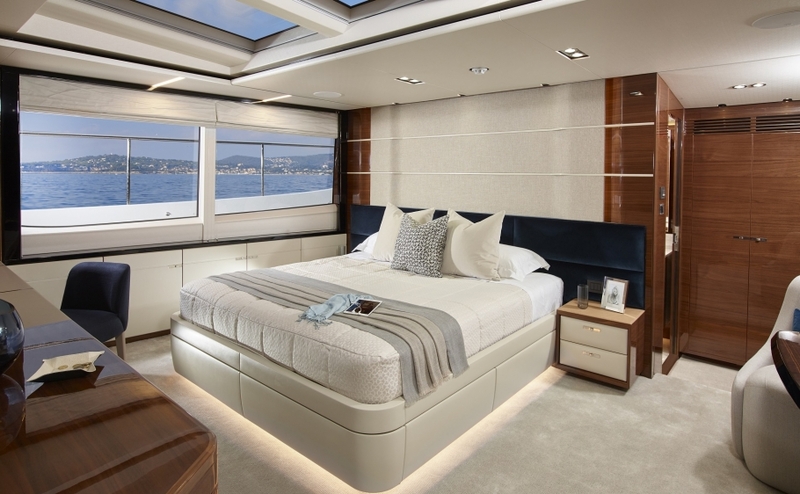 The flybridge is invitingly vast accommodating sun loungers, sofas, dining area, a wet bar and even a spa bath should guests wish indulge while anchoring.